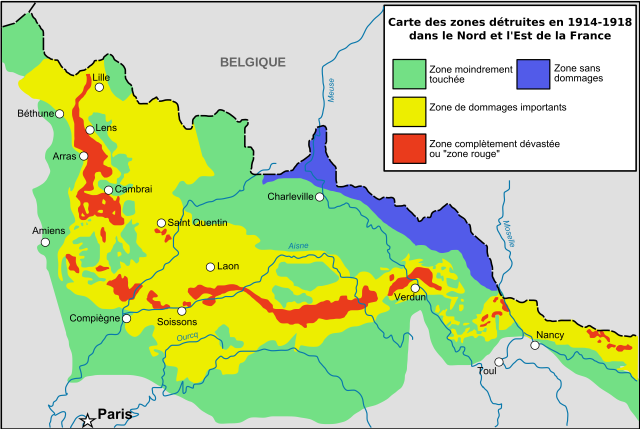 The Zone Rouge (Red Zone) is a region in Verdun, France spanning some 460 square miles of mostly virgin forest – at least on the surface. It’s teeming with history, making it a major tourist attraction and a source of income for locals — yet no one lives there and nothing is built there. Despite its draw, access is restricted because not everyone who goes in comes out alive. If they do, there’s no guarantee that they’ll do so with all of their limbs intact. Of those who do come out (whole or otherwise), death sometimes takes a while to catch up. This is because of events that took place during World War I. The Germans and the French faced off on the hills north of Verdun-sur-Meuse in north-eastern France two years later in February 1916. 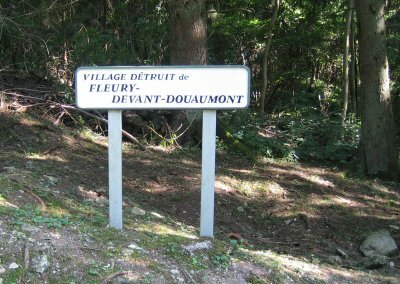 On the offensive was the German 5th Army, who were trying to dislodge the Région Fortifiée de Verdun (RFV) and the Second Army garrisons who dug themselves along the right bank of the Muse River. 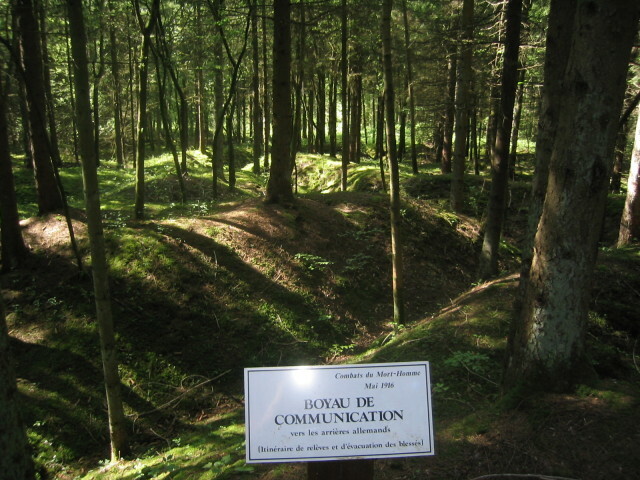 Verdun has long held sentimental value to the French because the area around it held 20 large forts and 40 smaller ones which had protected France’s eastern border for centuries. The Germans were convinced that if they took the area, the French would go berserk and commit everything they had to securing it. In so doing, they’d bleed themselves dry.While it worked, it didn’t go entirely the way the Germans had hoped. The result was one of the longest and bloodiest conflicts – not just within World War I, but in recorded history, as well. Lasting 303 days, the Battle of Verdun cost 377,231 French soldiers their lives and 337,000 German ones – about 70,000 casualties a month. Recent figures suggest, however, that that figure may actually be far higher – some 976,000 deaths and about 1,250,000 seriously injured, if you include civilians. While the French relied mostly on 75 mm field guns at the outset of the battle for Verdun, the Germans used new inventions notably stormtroopers with flamethrowers. 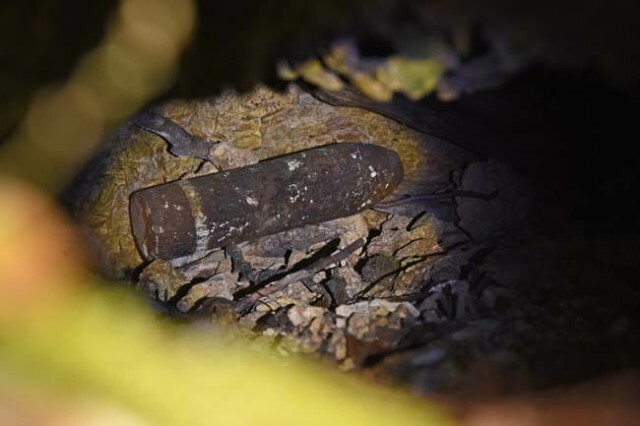 Grenades, machine guns, and poison gas were also introduced, but the favorite used by both sides was high explosive artillery shells designed to obliterate trenches and stone forts. Millions of shells were used, forever changing the landscape. The forest at Mort-Homme, deep in the Red Zone. 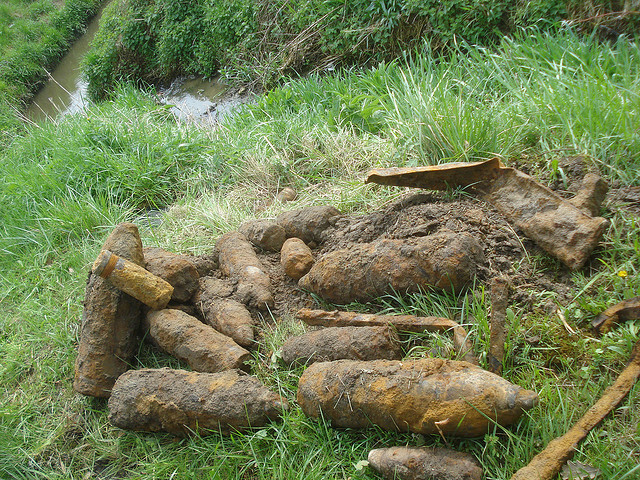 You are not allowed to stray off the paths because the area is littered with unexploded ordnance. When WWI ended in 1918, the French realized that it would take several centuries to completely sweep the area clear – some experts suggest it could take between 300 to 700 years, maybe more. Small farming villages used to dot the area, but they’ve all been moved because the government found it cheaper and more practical to do so. Today, all that’s left of these villages are forlorn signs as a bleak reminder of what once was. There are guided “Battle of Verdun” tours, a recreated village complete with trenches, memorial sites, and even restaurants within the Red Zone – but don’t let that fool you. It’s still a dangerous place. 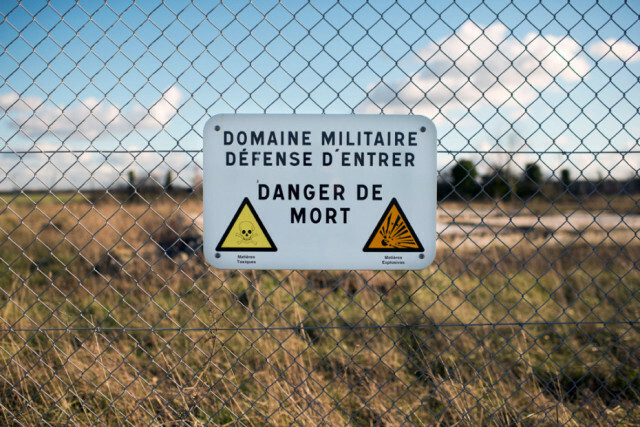 The government has set up a Département du Déminage (Department of Mine Clearance), but so far, they’ve only scratched the surface. 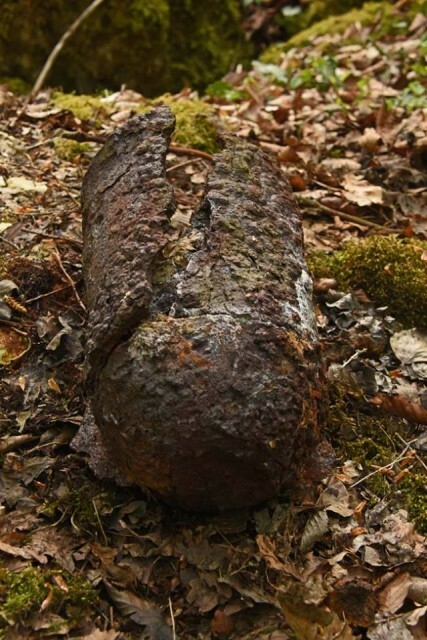 While some bits look like pristine forest, they hide millions of explosives – both the ones that have gone off, as well as those just waiting for someone or something to set them off. Weapons, helmets, and even skeletal fragments are still being found, something that’s likely to go on for centuries to come and ensure employment for those brave enough to work for the Département du Déminage. But explosives, even those already spent, are made out of dangerous chemicals. And remember how they used poison gas? Millions of tons of that gunk compacted together in such a confined area has had an impact on the soil and ground water of the region, resulting in patches where little grows and where animals die. And it’s getting worse. Up until 2004, foresters and hunters were allowed in with special permits till scientists made an awful discovery. Soil analysis in some parts of the Red Zone found arsenic levels of up to 17%. That’s several thousand times higher than in previous decades, meaning those chemicals are acting up, not down. The water in the area has also been impacted. Besides an increase in arsenic levels of up to 300 times what scientists consider to be “tolerable” levels, they’ve also found an increase in non-biodegradable lead from shrapnel. But it’s not just in the water. They’ve also discovered non-biodegradable lead in some animals, especially wild boars, so that turned the hunters off and with good reason.According to scientists, it can only get worse, not better, because they’ve also confirmed high levels of mercury and zinc. And how long can those substances contaminate water and soil? Up to 10,000 years. While the French government and the EU officially monitors crops harvested in the region and its outskirts, there are many who question the efficacy of their efforts. Some have even suggested that the authorities aren’t doing anything because they’re afraid of the impact to the local economy. There’s also political survival, since the French have never been shy about mass protests. Even on the outskirts of the Zone Rouge, however, farmers aren’t safe. Not a year passes without someone driving a tractor over an unexploded shell that goes off. Fortunately, there haven’t been any casualties in several decades… except for ruined tractors and badly shaken farmers.The real danger, however, comes not from explosive shells. They come from the gas shells – the number one killer of those who work in munitions removal. Despite regular checkups, the build-up of toxins can take a while to detect in the human body. And by the time doctors find it, it can be too late. Another danger lies in the eagerness to reclaim the Red Zone. 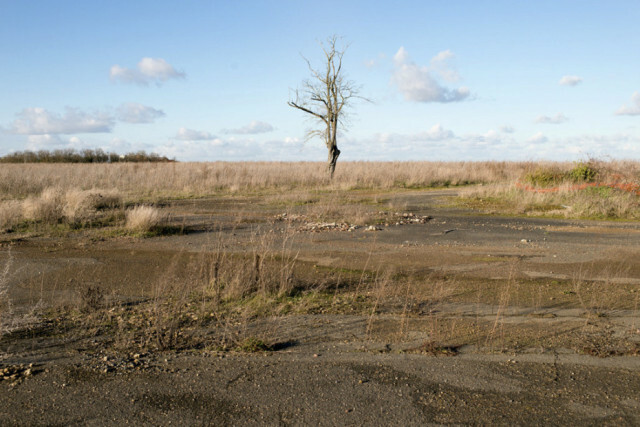 After the war, cleanup efforts were superficial because the French economy was devastated. Some communities were allowed to rebuild in the Red Zone prematurely, resulting in casualties due to explosives and poisonous chemicals. To exploit war tourism, many restaurants and shops were opened in so-called “safe” areas which were later found to be otherwise. The Battle of Verdun ended a century ago, but it’s still devastating the land and still impacting human lives.